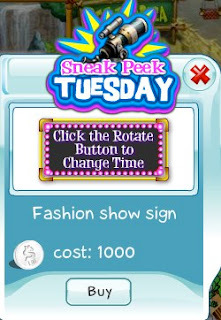 This week's Sneak Peek Tuesday feature is the Fashion Show Sign. Use it in your home to create your own fashion shows with your buddies. Get this item today before the limited sneak peek ends.